Thomas Schoenknecht has over 20 years’ experience in the pharmaceutical industry in various leading roles such as project management, research & development and business development. 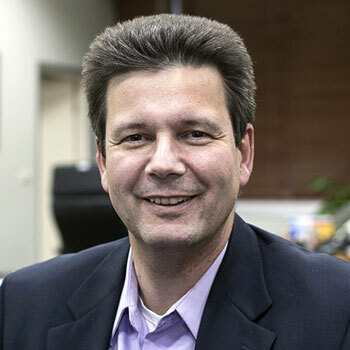 Before joining SHL in 2013, Thomas was head of the global Key Account Organization at Schott Pharmaceutical Packing Division with a specific focus on new product developments addressing customer needs. Prior to Schott, Thomas worked at Amgen Inc California as Director of Drug Product and Device Development, where he oversaw and managed Amgen’s global drug delivery container projects and interfaced Amgen’s drug delivery device platforms. Finally, previous to Amgen, Thomas headed up the Research & Development activities at Gerresheimer’s Pharmaceutical Packing Division and was leading the Product Management and Business Development activities of this division for sterile drug delivery solutions. Thomas has a Ph.D. in Biophysical Chemistry from the Max-Planck-Society and the University Goettingen, Germany and a Master’s degree in Chemistry from the University Goettingen. He is a frequent speaker, moderator and committee member at conferences regarding drug delivery and packing material science; Thomas was heading the PDA interest group for prefilled syringes and took over recently leadership for the new formed PDA combination product interest group. He is active as task force member within PDA regarding packaging material science and was being active as member in various DIN ISO committees regarding primary packaging materials and drug delivery devices. Thomas Schönknecht is currently an Executive Director, Business Development at SHL Group, responsible for global Business Development, Key Account Management and new Technology Evaluation within SHL’s Medical division. BLOCK: DEVICES MEET NEXT GENERATION FORMULATIONS. CASE STUDY: The benefit of using drug delivery device platform technology in modern biotechnology: An effective way to shorten time to market. Core elements of a device program. Drug delivery platform technology and time to market reduction. Imbedding innovation and drug delivery lifecycle management in light of regulatory. Vital traits of a successful pre-configured device platform.